Titans are elder gods in Greek mythology. There massive and powerful, and seemingly completely unrelated to anything in Tennessee. That was what I thought until witnessing this game on Sunday. Seahawks fans got to see what their team looked like playing with a Titan on their backs. Everything was harder. There was no sense of flow or free movement. Each step was arduous and unsure. The times the Titans climbed off the Seahawks backs, they moved directly in front of them. When Titans clash, thunder claps and lightning crashes. When a Titan collides with a kicker, noses are bloodied, GIFs are born, safeties become holders, and field goals turn into opponent touchdowns. It is tempting to say it is early yet, and point to the myriad of injuries the Seahawks have endured. Seattle is two games from being halfway done with their season. Two games away from the point in 2012 when a mediocre 4-4 team transformed into a juggernaut 7-1 team that outscored their opponents by an average score of 34-14. That sort of decisiveness has been missing this year, and yet the team has the best point differential in the NFC. With great power, comes great expectations. It is no longer early in the season. Seattle is set to get Zach Miller back this week, which makes them remarkably healthy overall. Four-fifths of what will likely be the offensive line played yesterday. Michael Bowie is playing his way into a starting job. This is not golf. No handicaps are applied. You are the team you put on the field each week. This is a great team playing like a good one right now. It is time to shed the Clark Kent costume and let the “S” on their chests show. One area where the team is showing better progress than most will admit is the offensive line. Russell Wilson completed 23 passes–his second-highest total of the season–on 31 attempts and sacked just twice and hit only four times. Seattle is ranked 27th in the NFL in percentage of pass attempts that result in their quarterback being sacked (9.3%). That number was 6.1% on Sunday. They did it against a worthy opponent. The Titans entered the game a top ten defense in sack percentage and sacks per game. In fact, an untold story of the season is the quality of pass rush defenses the Seahawks have faced to this point. They have faced teams ranked 3rd, 4th, 9th and 11th in sack percentage, and none of those are the 49ers that are 20th and falling without Aldon Smith. Five of the six opponents, at the time they faced Seattle, were formidable pass rush teams. They have also faced four of the top twelve defenses in opponent passer rating, and five of the top fourteen in opponent yards per attempt. That puts some of their offensive numbers in a brighter light, especially considering they have formed the offensive line on the go. Seattle is 8th in the NFL in passer rating, 6th in yards per attempt, and 5th in yards per completion. The Seahawks appear to be stabilizing in pass protection just at the time they will now face a long stretch of predominantly inferior pass pressure defenses. Only the Saints rank highly in sack percentage (5th) of remaining opponents. The Rams are next-best at 14th, and every other team ranks 17th or lower. Seattle gained over 400 yards in offense for the third time this season against the Titans.They did that only three times all of last year. The areas holding this team back are less about pass protection, and more about execution and play design. The Seahawks were 2-5 in the red zone, and that included a touchdown that took a fourth down to convert. Everyone will remember the fumbled Chris Maragos field goal snap returned for a touchdown. Few will remember James Carpenter’s false start earlier that cost the team their final timeout of the half. That whole final sequence plays out differently if that mistake does not happen. Prior to spiking the ball, the Wilson threw a swing pass to Robert Turbin that had little chance of resulting in a touchdown and no chance of stopping the clock. If that was the design of that play, it was an atrocious call. If it was a poor decision by Wilson, the execution was flawed. Only the people in the locker room know the answer, and the only thing that really matters is that the results improve. This team in 19th in the NFL in red zone touchdown percentage, at 50% (11-22). They should be a top five team, 65% or better, with the offensive options at their disposal. That is the difference between 20-13 and 27-13. The third down execution was better, even if it was hard to discern. Seattle wound up with their third-best conversion rate at 38.6% against a defense that came into the game 3rd in the NFL in third-down defense. Seattle’s offense had the best third down performance of any Titans opponent so far this year. Yes, a number of those conversions came on Wilson scrambles, but it is silly to belittle a very real part of the Seahawks attack. Wilson was the quarterback in every other game this year, and the team still struggled to convert. Part of why Wilson had a chance to run was improved protection from the line. There were very few free runners for the Titans, and that is more impressive than you might realize for a team with Gregg Williams helping to design pass pressure. Wilson is a microcosm of the team. He is a weird place where he is doing enough to win, but is not yet firing on all cylinders. There continue to be open receivers that he is either not seeing or choosing not to throw to. I hope to illustrate that in a separate story if time permits. That is an issue, but it can be overcome if he continues to take care of the football like he did yesterday. This was the first game of the year that Wilson did not turn the ball over. The combination of Wilson’s legs, opportunistic passing and this defense are enough to win an awful lot of games as long as he protects the football. Just a hunch, but something tells me we may see more of Christine Michael in the coming weeks. This is largely just instinct, but they have to be itching to see how he could impact the game with 3-5 carries and a screen pass or two. The Seahawks defense played one of their most complete games of the season, and it came against a better-than-advertised Ryan Fitzpatrick. His numbers will not reflect it, but Fitzpatrick was resourceful and led some gutsy drives. It was not nearly enough against a defense that stoned the run all day, and continued a stretch of dominant pass defense at home. Three quarterbacks have faced Seattle in Century Link Field this year. They have combined for 0 touchdowns, 7 interceptions and a 36.8 passer rating. Suffocating. Tennessee could only manage 223 yards of offense. Chad Henne and the Jaguars rolled up 362 in Denver. After starting 3-6 on 3rd down conversions, the Titans were held to one conversion in their last six attempts. And a defense that got burned by big plays last week can be proud of a performance that saw them limit the Titans to only two explosive plays (16+ yard pass or 12+ yard run) on the day, a season-best for Seattle. The mistakes of last week were turned into lessons this week, albeit against a far lesser quarterback. It is a shame to spend three quarters of a game review focusing on an offense that is not quite clicking when a defense puts in such a great effort, but when testing the aerodynamics of a vehicle attempting to reach escape velocity, you have to focus on the places where the smoke is not traveling freely over the frame. There is a fair amount left to hammer out on offense in order to reduce the bumps and increase the altitude of this team over the final ten games. There is reason to believe adding a playmaker like Percy Harvin will be a major boost, but it is rarely that simple. The next two games will greatly alter the course of the Seahawks season one way or another. They enter the crucible confident, but still unproven. Six games into the season, Seattle remains a Demigod, part human and part god. Their 5-1 record implies Zeus-like powers, but their lack of comprehensive execution across all three phases highlights their mortality each week. Nobody can say for sure whether this is a process toward ascension, or a struggle that will keep the team Earth-bound throughout the season. 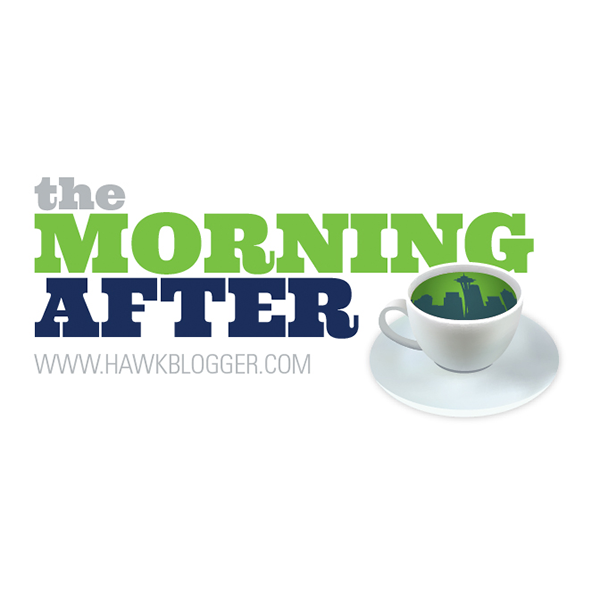 Real Hawk Talk Episode 11: What’s Going on with this Seahawks Offense?